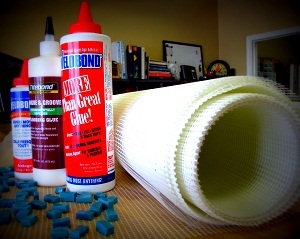 Whether you are using Weldbond and fiberglass mesh, or you want to duplicate the methods of the Italian masters and use lime putty or flour glue, di Mosaico offers a full range of supplies to ensure your mosaic project is a success. We also offer a variety of items to help you plan and design your mosaic. And, check out our safety supplies - we offer a full range of safety glasses, including bifocal readers.